If you’ve been following us for awhile, you might remember that one of my very first posts was a bulletin board freebie called “Warm Up to a Good Book”. Well, I decided over break to give it a little make-over. 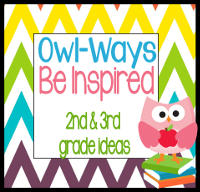 I spent a few minutes looking through your blog and think you've got some fabulously adorable ideas! Thank you for this sweet freebie! Thanks for all the freebies you offer! YOU ARE FANTASTIC! This is so cute! I love it! I am your newest follower! Come check me out!